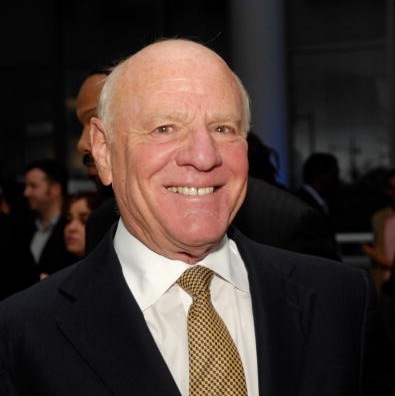 Barry Diller, founder of controversial online broadcasting service Aereo, has asserted that broadcasters who are currently seeking to have the operation outlawed are obliged to provide a signal, suggesting that their litigation is motivated by a desire to get relief from Congress in respect of carriage fees. Interviewed on Bloomberg TV’s Lunch Money, Diller described the ‘big picture’ of Aereo as being to change the centricity of what had been closed systems to an open Internet system. “The platform allows you to get free over-the-air broadcasts. If you don’t like cable, paying $150 a month or so for services, if you don’t happen to not live without ESPN, if those are true for you as a consumer, being able to watch all free broadcast, all the events all of the local television for $8 a month is an alternative,” he suggested. As to whether Aereo’s business was worth the continual hassle of litigation, Diller admitted: “I do not know. I cannot answer that,” suggesting that there were conditions where if a certain amount, “10 million, 20 million” US households utilised the platform, that would be very profitable. “This is not done because I think here is a gold mine I can plant my flag on it. I am doing it because to me the ability to get the world to utilise the Internet for all its information, entertainment, news, video to me it is a big shift. I understand broadcasting, no incumbent wants anyone in. That is an unbreakable rule,” he said. He was unwavering on the question of broadcasters wanting to be compensated for the broadcasting signals which they contend Aereo is transmitting illegally. “The law of the US is that if you have an antenna, broadcasters must provide a signal that you can receive without any interference. That is the right of Americans who gave licences to broadcasters. That is the covenant. We are providing a technological method for them to receive them. In 1972 or 1973, [Broadcasters said] the video recorder was an illegal thing. They went to the supreme court. And of course we all enjoy video records,” he suggested. According to Diller, broadcasters such as Rupert Murdoch’s Fox were “making a lot of noise” in the hopes they would get relief from Congress. “I do not think they see Aereo as a ‘threat’ but what they are nervous about is the shifting ground underneath them. As it becomes more and more difficult to justify ever increasing cable fees, satellite fees, as programmers and operators want more and more money and there are more and more programmes, as that closed circle becomes ever more pricey there are going to be chinks in that armour if the technology which now allows it, will allow it. My attitude has been to jump into something that looks difficult and is against what people think will succeed and plant my little food. Sometimes it gets kicked,” he concluded.